Aspiring filmmaker Jonathan Chan has been making movies his entire high school career. The next famous movie director might be in the desk next to you at Cal High. 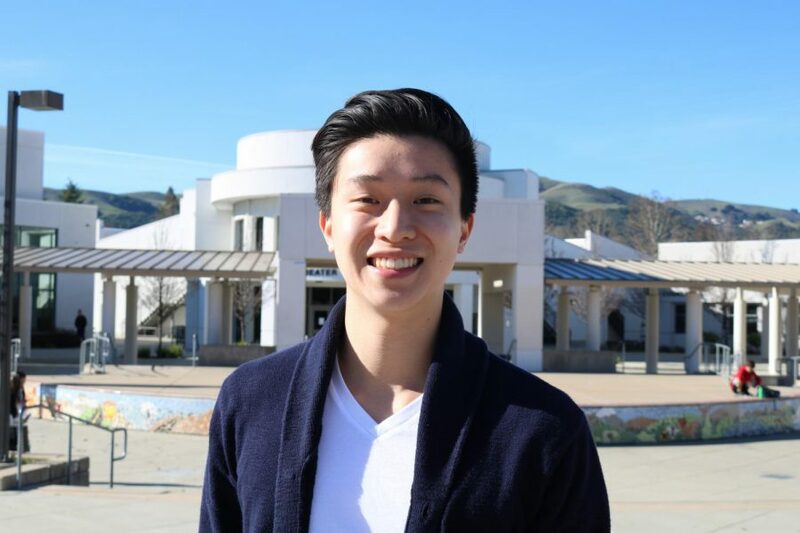 Senior Jonathan Chan has dedicated the last four years ofhis life to creating short lmsand progressing along the pathto ful lling his dream job ofbeing a director. But Chan didn’t definitively make the decision to pursue l’m making as a career until2015, when he made a short public service announcement about texting while crossing the street with his classmate and friend, Calvin Kamson. “We had won rst place inthe PSA competition and that day I made the decision that Iwas going to be a lmmaker,”Chan said. In the last couple of years,Chan’s lms have been metwith great success and encour- agement. “My first big success was a short lm I made in my sophomore year, titled ‘Coming Out,”’ Chan said. The film is about two friends who are gay but are scared to talk about it with each other. Chan submitted the lm for the school district’s Student RecognitionProject and ended up winning first place. “Coming Out” is Chan’s biggest YouTube success with 460,000 views and more than 8,000 likes. Chan also won the 2017 Film-stro Short Film of the Year Film Competition with “The Audition,” a short one-minute fight sequence. Most of Chan’s films are typically filled with action, displaying his fantastic ability to choreograph fight scenes and create action sequences. One of the ways Chan gotintroduced to lm and discovered lmmaking was throughhis family. But if Chan had to identify one person as his main inspi- ration it would be his father, William Chan. he applied, including the ones at USC, UCLA, NYU, Chap- man University, and Loyola Marymount. There is no doubt Chan has fallen in love with l’m making and considers it an important part of his life. Chan noted that pre-production is always lled with laughsand crazy ideas, while shootinga lm creates lasting memoriesand bonds amongst friends and collaborators.